Get outdoors in the Capital Region with your family this week, and take advantage of some of the many fun activities in Ottawa and Gatineau this March break ! Managing the Capital Core: An Exciting Challenge! I became involved in Sidewalk Labs in 2015 —before there was any idea of the project coming to Toronto. I participated in a think tank in New York that was made up of urbanists and technologists who came together to brainstorm and explore the potential of new technology to make city life better. Looking upwards is becoming a critical element of our design vocabulary. On February 15, 2018, the NCC’s Urbanism Lab program explored the varied elements of planning the sky. The Future of the Capital Pathway: Let's Talk ! 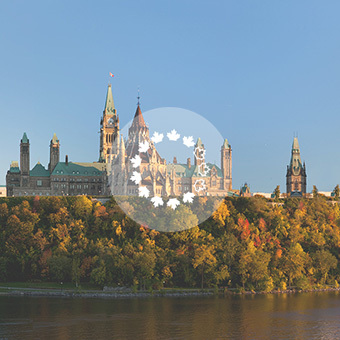 Whether cross-country skiing just to enjoy being active, biking around to discover the National Capital Region, or walking to get from point A to point B: there are lots of good reasons to take the Capital Pathway, one of the largest networks of multi-use paths in North America. In summer and in winter, tens of thousands of Canadians — residents and tourists — use the pathway, including me. And because I’m working on its future development, I need your help. My earliest memories are of spending time in the outdoors and feeling happy. As a young child, I spent summers with my family at the Philippe Lake campground in Gatineau Park. It’s fitting that today I find myself working for the NCC as a nature interpretation program officer in Gatineau Park.